Sal Paone Builder brings stylish designs and spacious floor plans to this community of forty carriage homes in an ideal location in Plymouth Meeting. 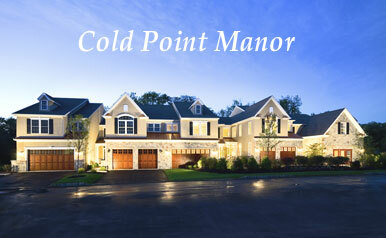 Only minutes from shopping, fine dining, health clubs and some of the area’s best golf courses, Cold Point Manor enjoys easy access to I-476, Route 202 and the Pennsylvania Turnpike. discover your home for tomorrow.